Czechoslovakia was born in 1918 out of the dismemberment of the old Hapsburg empire. 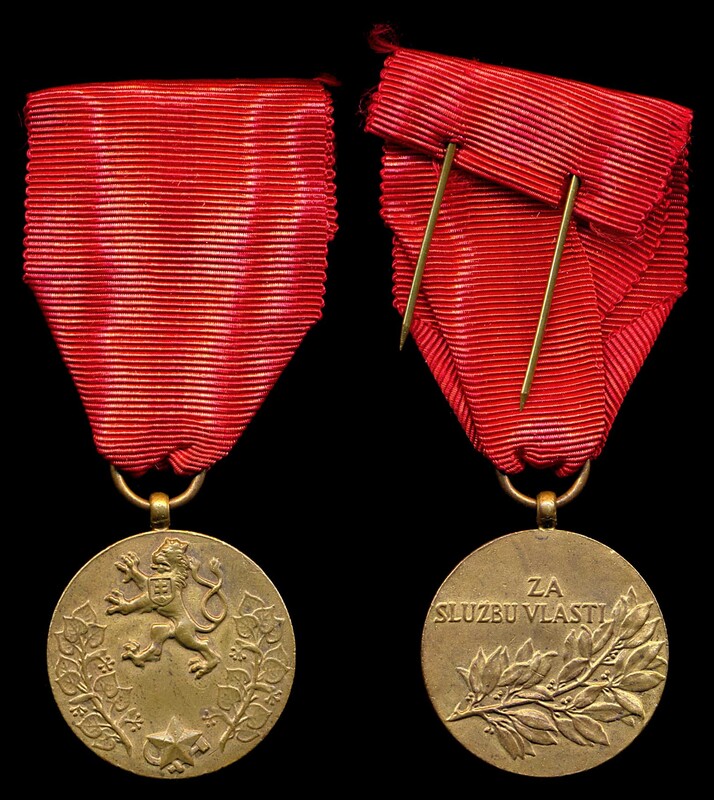 Like most European countries of the time it was fond of medals and badges. 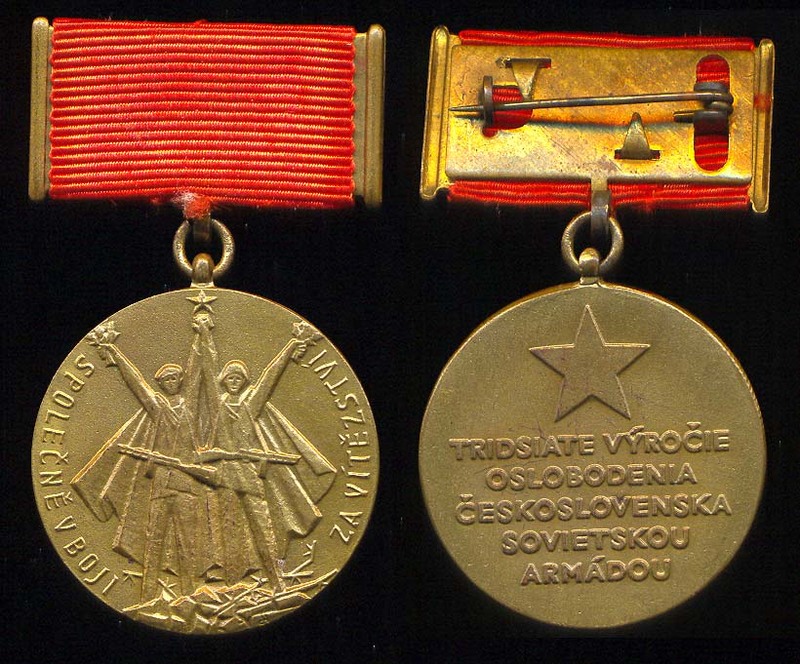 During the Communist period medal production was accelerated. A medal is a cheap way of recognizing someone. Today we choose someone as employee of the month and let them have a special parking space and a little certificate given at the morning meeting. 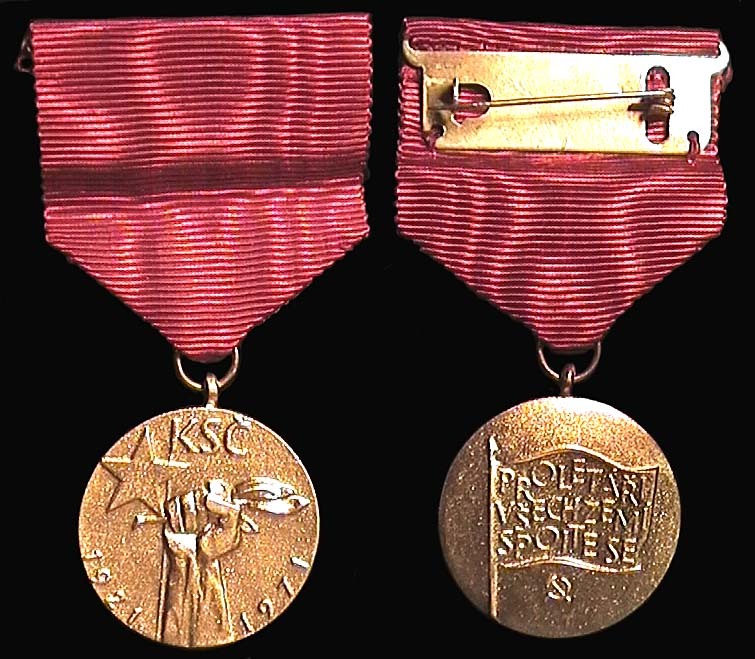 Back then they gave them a medal. Someone tell me what this is for?